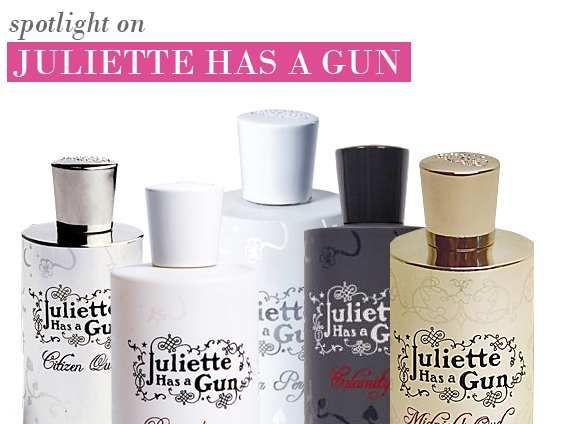 Unconventional, edgy and always entertaining, Juliette Has a Gunis a niche fragrance house built upon a foundation of innovation and subversion. Mastermind behind the house is Romano Ricci, who, as great-grandson of haute couturier Nina Ricci and grandson of perfumer Robert Ricci, is no stranger to the fragrance industry. To carve out his own niche in the saturated fragrance industry, Romano founded Juliette Has a Gun, focusing upon dandyish product design, rich fragrances and tongue-in-cheek names to capture the imagination of his target audience. Both Romano and his Juliette are a fusion of heritage and liberation from conventions, exploring new territories in a provocative and self-assured way. Their quest to find their own universe is individualistic, paving their own way and challenging codes of tradition. The Juliette philosophy is to approach each perfume like a piece of art: complete with a back story, an atmosphere, and an infusion of passion and emotion. With each coming fragrance, Romano expresses a different form of femininity; the seductive Lady Vengeance, the romantic Miss Charming, the sophisticated Citizen Queen, the majestic Midnight Oud, and the carnal Calamity J, all based around the central theme of a modern day heroine. This year Romano changes the game again, creating the innovative Not a Perfume. Minimalist, elegant and pure, Not a Perfume is composed solely of the singular molecule Ambroxan. Rejecting the rules of modern perfumery, Not a Perfume unveils its secrets only through contact with the skin. There is no natural presence, and the scent has the advantage of having no allergens and respects even the most sensitive of skin. Each scent is available in an Eau de Parfum spray, with Lady Vengeance and Miss Charming also available as a set of purse ‘bullets’, vials of concentrated oil to roll onto pulse points. Not a Perfume is available soon. This entry was posted on Friday, October 15th, 2010 at 4:57 pm and is filed under Brand Focus, Fragrance, New products. You can follow any responses to this entry through the RSS 2.0 feed. You can skip to the end and leave a response. Pinging is currently not allowed.